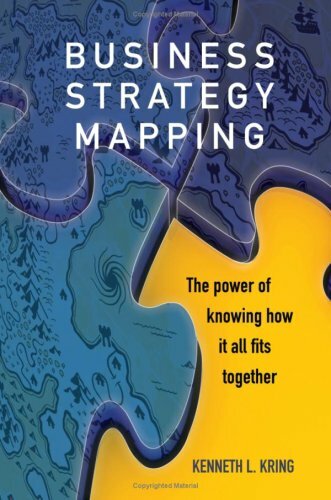 For additional information about this book, visit the website www.businessstrategymapping.com. As each group completes the puzzle, which group is going to be happier, faster, and more productive? The group with the puzzle box lid. This book will help you see the puzzle box lid for your company, and those for competitors as well. With a superior strategy, small companies can overthrow larger ones. With a superior strategy, large companies can maintain leadership positions. Some say that strategy is just a weak substitute for leadership, and that leadership is more of an art. History has taught us that leadership without a strategy can be like playing with a loaded gun . . . Sometimes things continue without incident, but often someone ends up getting hurt. Kring Strategy Mapping (KSM) can give you a better feel for how your efforts need to come together into a balanced strategy to guide you and your business to where you need to be. Ken Kring has worked at big companies and small ones. Both before and after earning his MBA from Northwestern University's Kellogg School of Management, he has searched for ways to assist people in determining how to best invest in their initiatives, their companies, and themselves. He found that the key to determining how to best invest one's limited resources was in the power of seeing how all of the pieces of business fit together. Ken lives in the Chicago area.